With IdSurvey you can assign specific contacts to specific interviewers using the “Filter Builder” function in the “Interviewers” page. Go to the “Interviewers” section, select and open the interviewer profile that you want to set filters for. On the top left of the screen, click on “Set Interviewers Filters”. The “Surveys with filters” window will open. 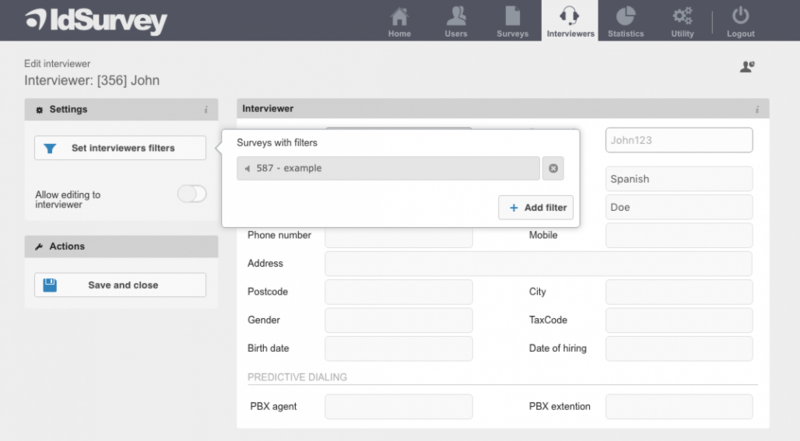 In this section all the surveys where you have set filters for this interviewer will be displayed. 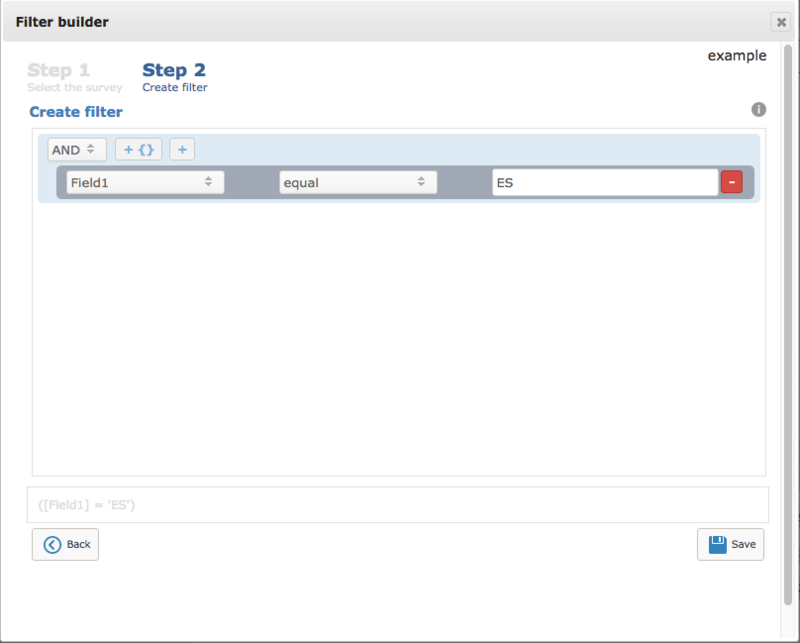 To set a new filter click on “Add filter” and select the survey where you want to set it from the list. You will have to build the filter using the same fields of the “Contacts Management” and decide which contacts will be displayed to this interviewer. When there are no more contacts that match the filter, the interviewer will not be able to work on the survey anymore. If you need to delete the filter, just go back to the “Surveys with filter” box and click on the “x” to remove it. In the example below, the interviewer John Doe will display only contacts that have the value “ES” on field “Field1”.